Can I search for lakefront-only property? Yes, BUT there are some limitations you will want to understand. Currently, during your search filter entry, select “Tagged as Waterfront” to narrow the search to properties that have been tagged by the listing agents as waterfront/lakefront. Some Multiple Listing Services (MLSs) do NOT track this type of information for agents. Some Multiple Listing Services (MLSs) DO track this type of information but do NOT share (export) this information to brokerages or other types of websites. Interestingly, the terms “waterfront” and “lakefront” are not as universal as you might think. In some markets, the local convention is to call property lakefront if it is adjacent to property owned by the lake’s operating entity. For example, property that is adjacent to the Army Corp of Engineer shoreline land might be considered “lakefront” even if it does NOT reach the water. In the markets we serve, we have as much information as any brokerage about waterfront property. We are building new data tools to overcome the limitations noted above. In addition to our “Tagged as Waterfront” search feature, there are additional ways we can uniquely help you find the lake property you desire. If you have a specific lake (or lakes) of interest, our local agents can often provide more specific information. Simply contact one of our expert Lake Homes Realty agents at the lake (or lakes) of interest to you. In most cases, our agents can provide you exactly the information you seek, through their access to local databases, data in the MLSs that can only be seen by local agents, and their own local knowledge of their lake markets. This is yet another reason we believe in the importance of local lake-expert agents. The more specific information about what type of home and price range interest you, the better our agents can provide you more specific listing information. 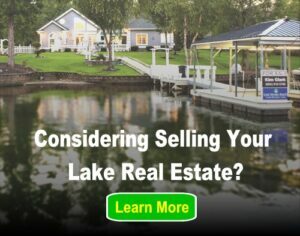 Previous post: How do I get my lake property to appear on LakeHomes.com? Next post: Why is my lake not on LakeHomes.com?